Thanks for listening to episode 76 of the Welding Tips and Tricks Podcast! For this episode we had a great time chatting with Jonathan Douville from Walter Surface Technologies. We focused on the world of Passivation. This is a very deep subject that is really a mystery to most people. We learned a lot from Jonathan that will really help us all in the future when it comes to chemical cleaning and passivation. We're sure that you'll pickup a few really great nuggets of information to add to your mental toolbox. So be sure to download, pop those earbuds in, hit play, drop your hood, and Enjoy! We also would like to take a moment and thank those who support the show on Patreon. Each Patron helps keep the show going and allows us to publish each and every week. If you would like to support the show, in any dollar amount, head over to www.patreon.com/weldingtipsandtrickspodcast. Everyone there is greatly appreciated. This months top supporters of the show are James Greer, Gamble Garage, Chris Reader, Andy Katanic, Black Sheep Fab Shop, Shane Gunnin, Yusuf Khan Rick Alotto, Erik Ruppel, Scott Tasso, James Yocum, Smith Industries, Mike Howe, Anthony Chrisomalis, Richard Black, Thor Gudmundsson, Scott Silva, Noe Sanjuan, WeldyMcWelds, and House of Chop. Thanks for listening to episode 75 of the Welding Tips and Tricks Podcast! For this episode our guest is Dave Rubin also known as @FarmFabrication on Instagram. We had fun chatting with Dave hearing about how he got into welding and his road to running his own business. Also talked about his other passion in life Hot Rods. We hope you enjoy this interview as much as we did so be sure to download, pop those earbuds in, hit play, drop your hood, and Enjoy! Thanks for listening to episode 74 of the Welding Tips and Tricks Podcast! For this episode we had a great time chatting with Brad from Hour Glass Ingenuity on Instagram. 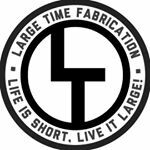 If you have never looked at Hour Glass Ingenuity on Instagram you should take the time to check out his page and give him a follow. Brad has some come up with some really great products to help our great community. His hand rest is great and the new torch holder is second to none! So be sure to download, pop those earbuds in, hit play, drop your hood, and Enjoy! Hour Glass Ingenuity products have a functional yet aesthetically pleasing appearance. The HGI Tig torch holder weighs in at sleek 6oz. CNC laser cut components, Stainless hardware and a 1.2” diameter neodymium magnet. Featuring 2 detents that help secure your torch once inserted. 5 different powder color coating options. The HGI hand rest is currently being redesigned before it is available for purchase. You can message me regarding any questions you may have for either product. Thanks for listening to episode 73 of the Welding Tips and Tricks Podcast! For this episode we took some time to talk about what we like to do to stay motivated. Sometimes you run across a job that you just really don't like working on or going to, but still have to do it. This is something that effects everyone at some point so we wanted to share our thoughts to possibly help those that might be dealing with this. So be sure to download, hit play, drop your hood, and Enjoy! We also would like to take a moment and thank those who support the show on Patreon. Each Patron helps keep the show going and allows us to publish each and every week. If you would like to support the show, in any dollar amount, head over to www.patreon.com/weldingtipsandtrickspodcast. Everyone there is greatly appreciated. This months top supporters of the show are James Greer, Gamble Garage, Chris Reader, Andy Katanic, Black Sheep Fab Shop, Shane Gunnin, Rick Alotto, Erik Ruppel, Scott Tasso, James Yocum, Smith Industries, Mike Howe, Anthony Chrisomalis, Richard Black, Thor Gudmundsson, Scott Silva, Noe Sanjuan, WeldyMcWelds, Jacob Elder, and House of Chop. Welder's Coffee is small batch roasted to order. Large Time Fab holds no inventory of roasted coffee to ensure that your coffee is as fresh as possible! Be sure to head over and try some Welder's Coffee for yourself and don't forget to let them know Welding Tips and Tricks Podcast sent you! Happy New Year Everyone! Thanks for listening to episode 72 of the Welding Tips and Tricks Podcast. With starting a new year we wanted to see what we've go planned for this coming year. It's always a great time to chat about your thoughts and ideas in the hopes that it will help bring them to life in the coming months. We'd like to hear what you have in store for your year so please be sure to send us an email! Be sure to enjoy the time off with your family and friends and be sure to share your thoughts with them so they can hold you to it as the year progresses! Enjoy and Happy New Year 2018! We also would like to take a moment and thank those who support the show on Patreon. Each Patron helps keep the show going and allows us to publish each and every week. If you would like to support the show, in any dollar amount, head over to www.patreon.com/weldingtipsandtrickspodcast. Everyone there is greatly appreciated. This months top supporters of the show are James Greer, Shane Gunnin, Rick Alotto, Erik Ruppel, Scott Tasso, James Yocum, Smith Industries, Mike Howe, Anthony Chrisomalis, Richard Black, Thor Gudmundsson, Scott Silva, Noe Sanjuan, WeldyMcWelds, and House of Chop.